–Johannes Schwanke, “Luther on Creation,” Harvesting Martin Luthers Reflections, edited by Timothy J Wengert, pg 82. Is this not a false dichotomy? Interestingly there are parallels with how Luther understands the “beginning” of creation with how he understands the “beginning” of the Christian life in Baptism. The act of creation, like the act of Baptism, is not initium but principium. I should have been clearer myself: I meant the dichotomy between Adam and Luther. Unless we are dealing with the modern preoccupation with “Was there really an Adam?”, which for Luther was not debatable. Or, put another way, is the author’s concern with our/perennial existential [not meant pejoratively!] questions? It is interesting. I can offer some more thoughts from the author, hopefully to clafiry his thought. I wonder if this approach by Luther allows one to escape the whole issue of the historicity of Adam? 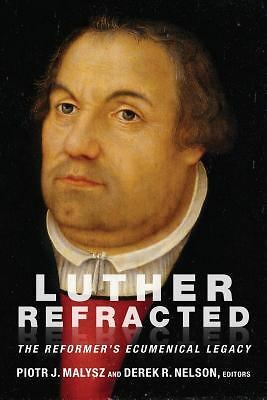 I don’t mean to imply that it wasn’t an issue for Luther, but does Schwanke’s analysis allow us to fall on either side and yet find the biblical account of history relevant and consequential for our lives? I think this thought of Kierkegaard’s is interesting because some have insisted upon the historicity of Adam, in part, because of Paul’s use of the Adam/Christ analogy. But I do feel as though I am digressing from Schwanke’s (and Luther’s) thought as expressed in the theological fragment. Every attempt to “get beyond historicity”—while theologically interesting and perhaps even valid in a sort of theological version of the correspondence theory of truth—eventually has to face this question: if it weren’t so, how can we know that it is so. How can Adam be a member of the race without having been a member of the race? Or put in another way again, what’s behind the myth? Health warning: I’m not presuming or implying anythingyour views on these questions, Bryce; just taking my cue from you. I guess, if I was to be concerned about the whole historicity or non-historicity of Adam, my biggest question would be: what does the theological system gain from Adam being an historical figure? Or maybe, most importantly, what does it lose from the classical expositions of the doctrines of creation, Fall and redemption if Adam was not an historical figure? Would we be unable to talk about and confess God as creator of everything, as humans freely choosing evil (as the opposite of good), as Christ being incarnate and redeeming humanity? I don’t think we would. I think Kierkegaard is illuminating in at least one aspect and that is when we define a person named Adam as being “created” without sin, while all the rest of us are “created” (conceived) in sin, then we have defined Adam outside of human history. We have defined Adam as something other than ourselves. This is highlighted by the quote above, especially as it relates to Paul’s Adam/Christ analogy. As most commentators agree, “The Concept of Anxiety,” is one of Kierkegaard’s most complex pieces, but that is one thing that I think I have gleaned from it and (at least partially) understand. I haven’t read Kierkegaard on this, so am not fit to comment (probably wouldn’t be even if I had!). I’ll just say this one thing in reply to your question: to define Adam in this way does not place Adam outside of human history, but within a unique point (one terminus) of it. And Paul’s Adam christology turns on that uniqueness: there are two unique adams in human history, both of them in motion. One, the first Adam, moves from a special, sinless createdness into sinful createdness; the other, Christ, makes the return journey. The historicity of the first journey isn’t insignificant in order for the second to be significant.